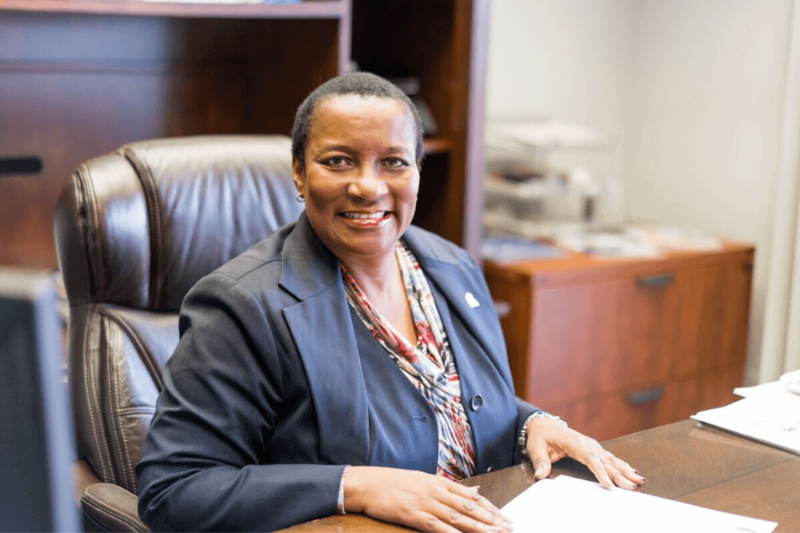 Denise Burgess is President/CEO of Burgess Services, Inc., a Denver-based construction management firm. She has served on the Board of Directors of the Denver Metro Chamber of Commerce since 2010, and recently served as Chair of the Board. She has been listed in the Top 25 Most Powerful Women by the Colorado Women’s Chamber of Commerce, a Woman of Distinction by the Girl Scouts of Colorado, a recipient of the Dr. Martin Luther King Jr. Humanitarian Award, the David E. Bailey Small Business Advocate Award, CEO of the Year 2017 ColoradoBiz Magazine and Colorado Black Chamber of Commerce 2017 Ascension Awards Corporation of the Year and Colorado African American Hall of Fame. Yep, she’s the definition of a 7-figure boss, and it’s been a pleasure and learning experience to watch her in action. We appreciate her strategic, no-nonsense leadership, her commitment to supporting other sistahpreneurs and the way she owns her space. Check out our interview with her and take note, Sistahs, this is how bosses do it. Believe in yourself and understand your abilities. In other words: be honest about what you do know and what areas you need help in. It has because you have to fulfill the needs of the construction industry. It’s a very technical industry with a variety of stakeholders. It’s about making sure your staff and you receive up-to-date training in regards to business and to the industry itself. My strategy is learning “what’s next” and also looking at industries besides my own that may be incorporated internally. Tell us about your first big deal and how you achieved it? It was my first $1 million contract for the company. It was answering a Request for Proposal but it was really about listening to the client on what they needed. It was also about making sure that when problems arose during the project – we were responsive and solved the issue as quickly as possible. It’s a slow and steady process. Capital increases with your success but also decreases when the economy is challenging even more. It can be discouraging but consistency is the key. Be consistent and know your financial numbers. Being an entrepreneur is a big risk so be comfortable with that idea. I recharge everyday when I wake up. I keep a gratitude and goals journal. It makes a difference in how I approach my day. I’m usually up by 6am. I write in my grateful/goals journal. Check my schedule, read a couple of newspapers online and have breakfast. Read any overnight/early morning emails. Compose emails. Make phone calls/text. Feed my dogs, get ready and go! It would be accounting. I took accounting courses and made sure that when financials were given to me by a CPA, that I scheduled time with the accountant to review and understand. When you own a business- all cultures and classes are potential clients. Make sure you are comfortable within because it shows if you are not. Business relationships are very similar to personal relationships. They impact your life and can cause moments of joy, sadness and frustration. I think the inner voice or “gut check” is very useful in business relationships. If it doesn’t feel right – then you probably should avoid it. It’s harder when dollar signs are attached. Failures are the best teachers and when you are an entrepreneur-plan on it. The one that I still experience are those moments of doubt. I have to catch myself when I’m negotiating a contract, hiring a new person or even changing a strategy for the business. I find the biggest failures and disappointments come from me doubting my decision. Over time it happens less and now I can catch it (most of the time) before I make a decision. 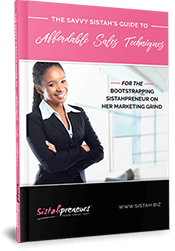 You are a black woman in business but most importantly – you are an entrepreneur with a valuable product or service.